The first studio occupied by Claude Monet is part of his main house at Giverny. In this room, Monet stored the paintings he didn’t want to sell, to keep a record of the steps of his career. Nowadays, the furniture is still authentic, as well as the objects decorating the room, but the paintings are all copies. Monet lined them on the walls on several rows up to the ceiling. 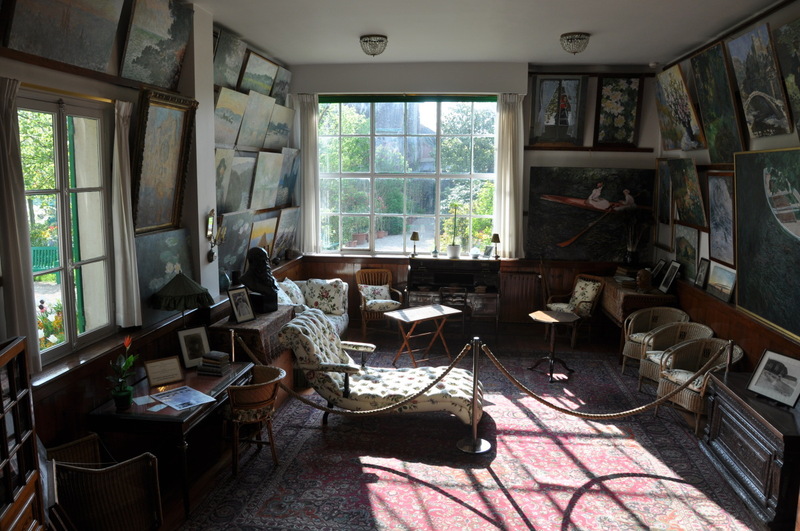 This studio was restored recently, it looks as if Monet had just left it.